Need to escape? 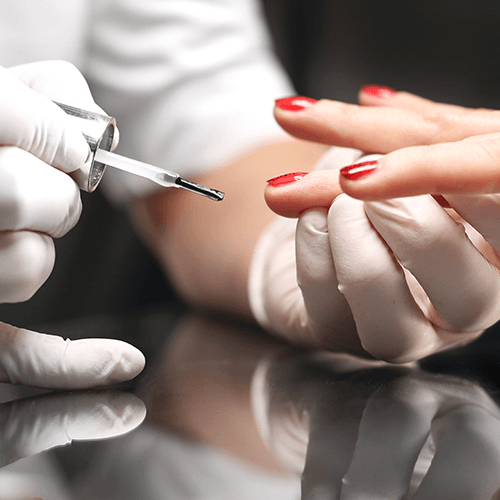 Come over to Millennium Nail & Day Spa and experience our luxurious and relaxing manicures and pedicures. 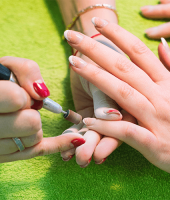 Known throughout Tallahassee on providing the best nail salon services. Learn more about our services below and make your appointment with us today! A truly lavish experience. Rest your hands in scented water, then sit and relax as we shape, file and polish your nails for a natural look. Enjoy a soothing hand massage with moisturizing lotion leaving your hands soft and smooth. The final touch is your choice of buffing or polish using OPI Nail Polish. The manicure for men. Nothing looks nicer than a man with manicured hands. (Perfect for that critical job Interview or to maintain the utmost professional image polish). “My nails are red but my dress is coral.” No problem! We will be happy to change your polish. This is truly one of our signature services. Come and experience our amazing state of the art Spa Chair There’s nothing like it! Let us pamper your feet in a heated, scented spa bath of warm water and Sea Rock We will shape your nails and care for calluses and cuticles. This service comes with a foot and leg massage, exfoliate and sea clay mask. Nails are reshaped and polished, cuticles are cleaned and trimmed feet are buffed. Add on a Sugar Scrub for $5. After receiving the traditional Spa Pedicure, when you think it just can’t get better than this, your feet will be sealed to a warm relaxing massage with naturally smooth and gently heated stones dipped in soothing moisturizer. This pedicure is an excellent stress reducer Lay your chair back, close your eyes, and feel the smooth, natural, heated surface of the stones, ease all the tension from your weary feet. 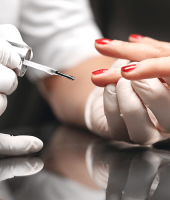 This treatment is finished off with a polish of your choice. Treat your little princess or prince to a pedicure. Great for those special Mother/Daughter or Grandmother/Granddaughter days! The child must be accompanied by a parent guardian. Pedicures aren’t just for pampering, good foot and nail care leads to healthier feet. This basic men’s pedicure includes a soak in our whirlpool foot spa, nail and cuticle care, callus care, and a foot and lower leg massage. The spa experience isn’t just for women anymore. You deserve a mani-pedi, book one of our treatments today!